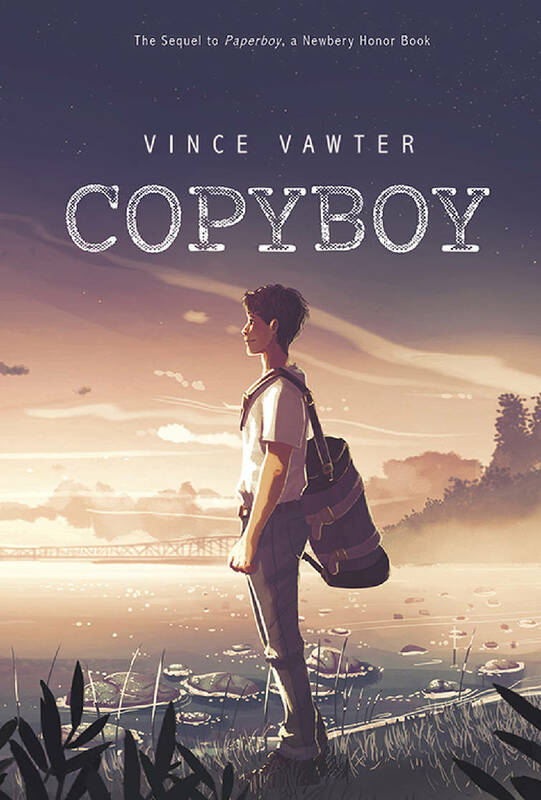 Cover of "Copyboy" by Vince Vawter. 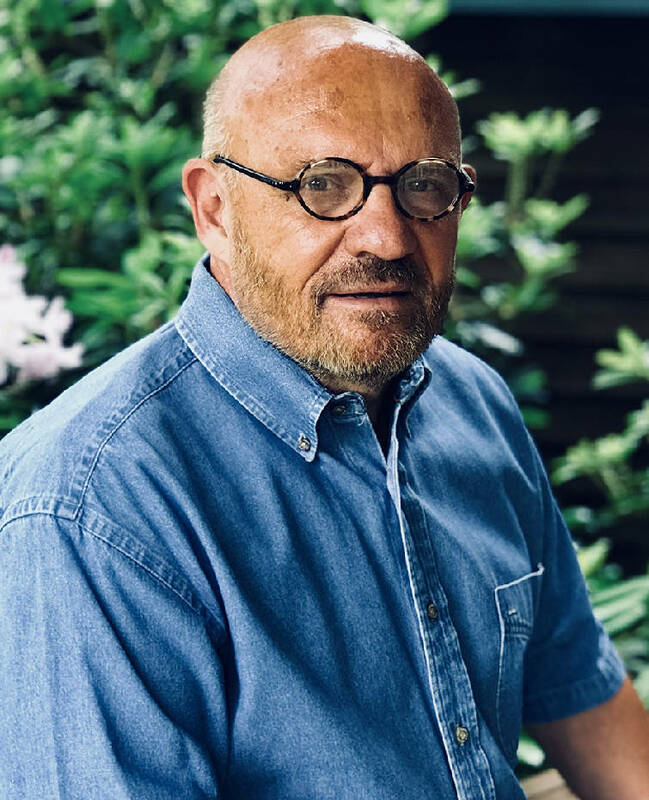 Vince Vawter will be among more than 30 authors at Ya-Hoo Fest, Chattanooga’s Celebration of Young Adult Literature, scheduled Saturday, Sept. 29, at Chattanooga State Community College, 4501 Amnicola Highway. Readings, book sales, panel discussions and author signings are included in the event, which is presented by the Southern Lit Alliance and Chattanooga State’s Writers@Work program. Find out more at https://www.yahoofest.org. "COPYBOY" by Vince Vawter (Capstone Editions, 240 pages, $16). "Copyboy," the new middle-grade novel by Vince Vawter, a Memphis native who now lives in Knoxville (and previously served as managing editor of the Knoxville News-Sentinel), is a sequel worthy of its exceptional predecessor. "Paperboy," a 2014 Newbery Honor Book, introduced readers to Victor Vollmer, an 11-year-old with a tormenting stutter, a new paper route and a lot of questions about life in 1950s Memphis. Victor also has an unlikely friend: Constantine Spiro, a retiree with a house full of books and plenty of time to mentor the young paperboy. Out in the newsroom, everyone's pace was picking up with the deadline closing for the first edition. Reporters worked the telephones for the second edition and updated their stories from the previous day. Galley proofs several feet in length came up in pneumatic tubes from the composing room. Police scanners and a shortwave radio crackled at the city desk. Photographers slapped up dripping black-and-white photographs to dry on a sheet of heated metal. The chemicals in the photos gave the room an odor like a starched shirt that had been singed with an iron. After Mr. Spiro dies, Victor must fulfill his last request: to return his ashes to the mouth of the Mississippi River. Victor still works hard to compensate for his speech impediment, but thanks in large part to years of Mr. Spiro's patient encouragement, he has begun to trust his own voice and his own decisions. Though his parents forbid him to travel to New Orleans alone, he asks a newspaperman for aid. Soon he is on the road with Mr. Spiro's ashes in the trunk and the name of a Times-Picayune reporter who has promised to help him find the mouth of the river. For Victor, this is a road trip like no other, and his sudden independence is exhilarating. In New Orleans he hears for the first time the lilting cadence of Cajun speech. For someone who struggles to communicate, it's a revelation: "I liked the way the words came out of her mouth," Victor notes, "like they had a bright coat of paint on them." Whether he is eating his first plate of raw oysters in the French Quarter or attending a rollicking fais do-do (a Cajun dance party) or fleeing the path of Hurricane Betsy, Victor remains the same curious, unassuming and thoughtful observer of human nature that readers found so irresistible in "Paperboy." But he's definitely growing up. When a pretty girl in short shorts catches his eye, Victor thinks, "We learned about adjective case in sophomore English — short, shorter, shortest. These shorts were not comparative. They were superlative." "My promise seemed simple at first. Find the end of the river, the mouth. Spread the ashes. But the closer I got, the more complicated everything was getting. Mr. Spiro had never let me down, and I was not going to let him down. He spent hours and hours answering my questions and teaching me all that I didn't understand about myself. When Mr. Spiro went away, a big hole started following me around, and the only way to close it was to put his ashes exactly where they belonged." Despite numerous setbacks, readers never doubt that Victor will find his own way to honor Mr. Spiro's wishes. And in the end, fittingly, it's Mr. Spiro, lover of literature, who has the last word: "We don't own books. We borrow them and pass them on. What we own is what the books leave inside of us." Vince Vawter's "Copyboy" leaves behind the happy memory of time well spent and the hope of additional travels to come. For more local book coverage, visit Chapter16.org, an online publication of Humanities Tennessee.